The supreme Godhead was incarnated in human form to annihilate the demon of Lanka. 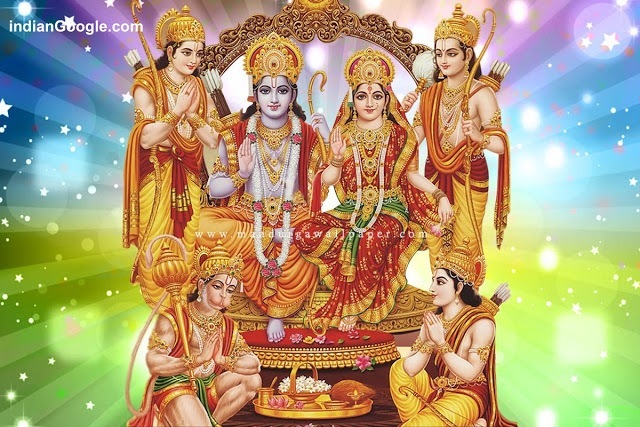 Lord Ram is worshipped by many people all over the world. 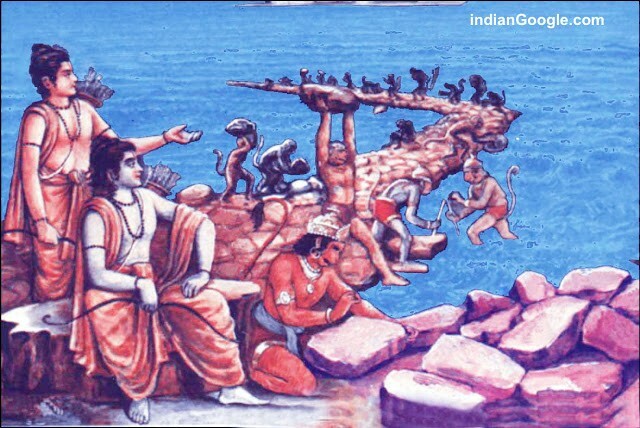 Everyone is well known of renowned saga Ramayana described by Sage Valmiki. A true devotee will always download Lord Rama images so as to revered for his virtuous nature. 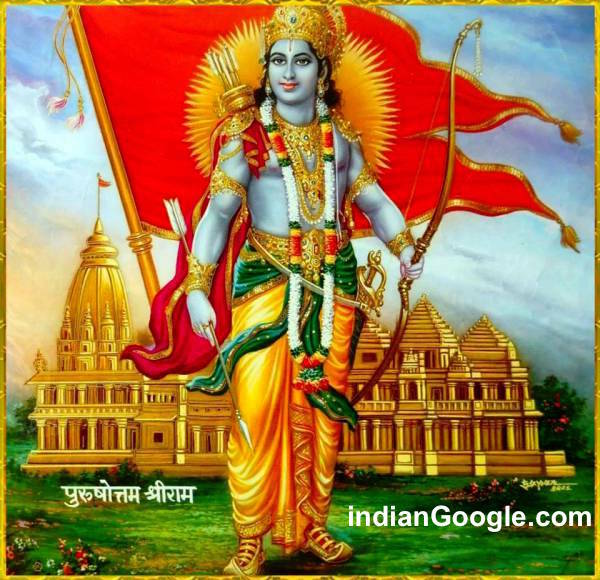 Lord Ram was born in Treta Yuga To Dashrata and Kaushalaya in Ayodhya Lord Ram’s name means Supreme Bliss. He is an 8 incarnation of Lord Vishnu. 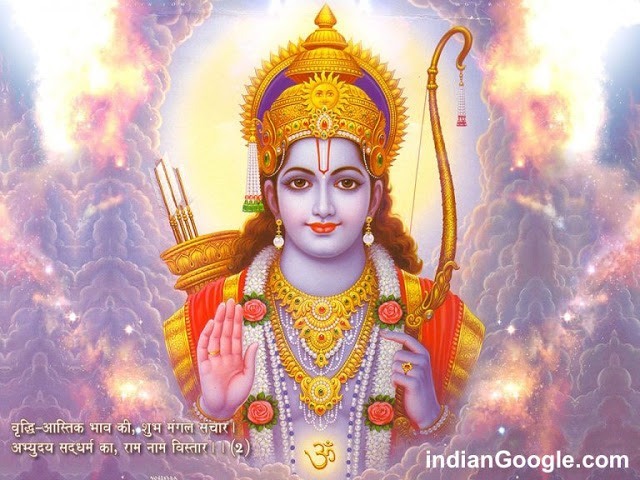 However Lord Ram was unaware of his own God form and lived a human life. Lord Ram was a Kshatriya by caste. He and his three brothers from step mothers were under the training of Sage Vashishta. Ram married Sita during her swayamvar, soon after his marriage he was asked to live in exile for 14 years by Bharat’s mother kaikayei so as to enthrone Bharat as the King of Ayodhya. There are few virtues of Lord Ram which is highlighted below: Along his journey he met Hanuman who became Rams devotee for his entire Life. After his victory over evil Ravana , Ram was welcomed back to Ayodhya with great pomp and show and this day is celebrated as Diwali. Ram is blessed with two son Luv and Kush. The entire episode of Rama yana can be depicted in the form of images. Truthfulness: Lord Ram life was full of disaster yet he chose all his life to be truthful in any circumstance, hence he exemplified life lived with truthfulness is always victorious in the long run. Righteousness: Lord Ram was not only embodiment of truthfulness but also the Righteous King of all time. Honesty and justice was always seen in his kingdom. 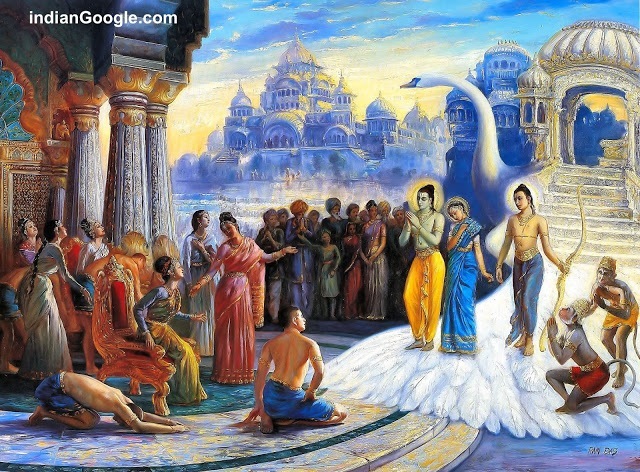 After social ramification Lord Ram also abandon his own wife Sita. Such was alluring quality of Lord Ram was captivated by everyone. 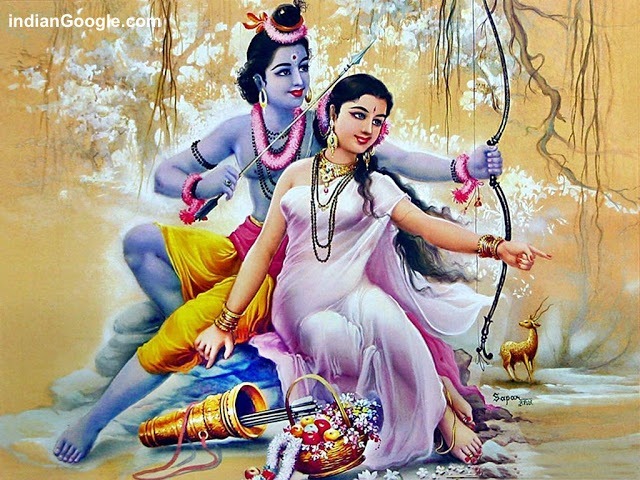 Loyalty: Lord Ram always remained an ideal son, and a loyal husband to Sita. The thought of any other woman never crossed his mind.The struggle he had to take to search for lost Sita only shows Ram love and affection towards Sita. Gracefulness:Ram was endowed with difficulties and disaster however his graceful nature always had to be cherished. 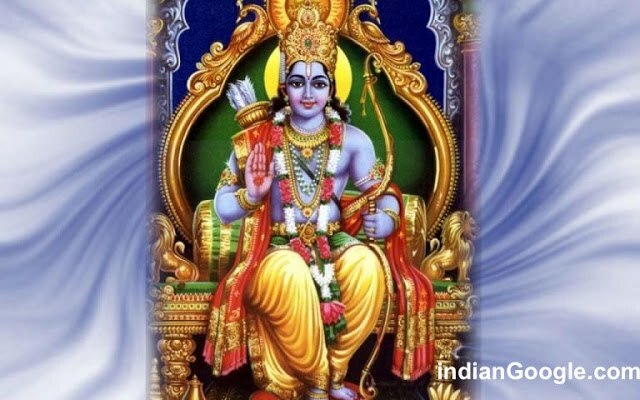 Lord Ram treated everyone with kindness and neither harmed nor hurt any creature. Such a virtuous Lord Ram images can be seen here. 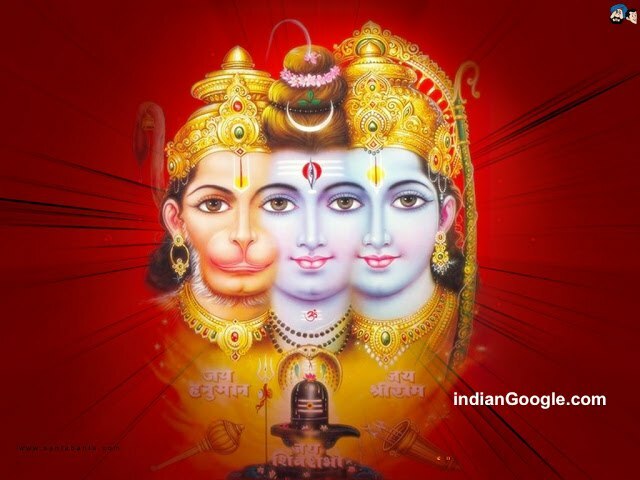 Preceptor to Lord Hanuman: Lord Hanuman was always with Lord Ram through kith and kin. Hence he was the true preceptor of Lord Ram. His love for Lord Ram was insurmountable; it is often displayed that Lord Hanuman when pulled his chest apart the only image seen is of Lord Ram and Sita. 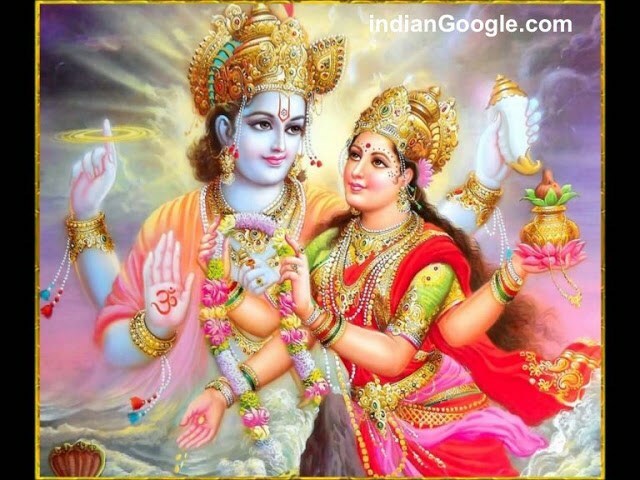 Don’t forget to watch All Indian god wallpaper collection. 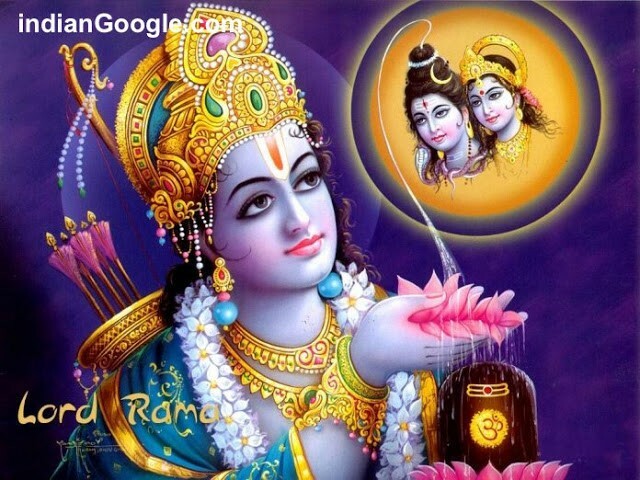 Lord Ram birth anniversary is celebrated all over India as Ram Navami. 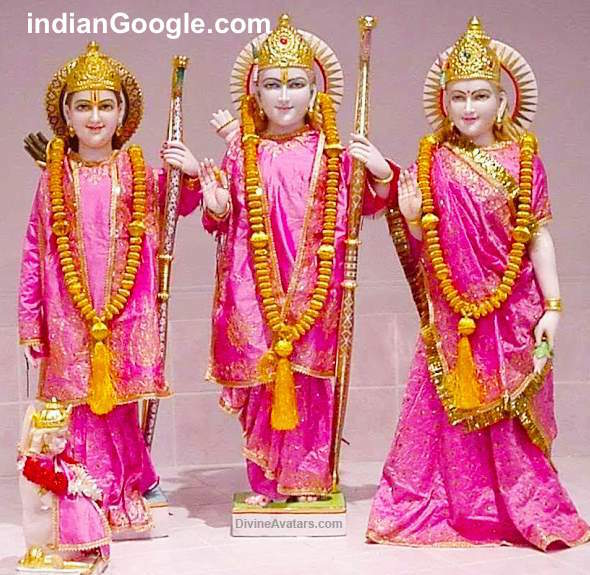 There are many famous Lord Ram Shrines all over the world. During his exile period Lord Ram has migrated to different parts of India thus the footprints left behind by Lord Ram is worshipped till now by the inhabitants of the region. 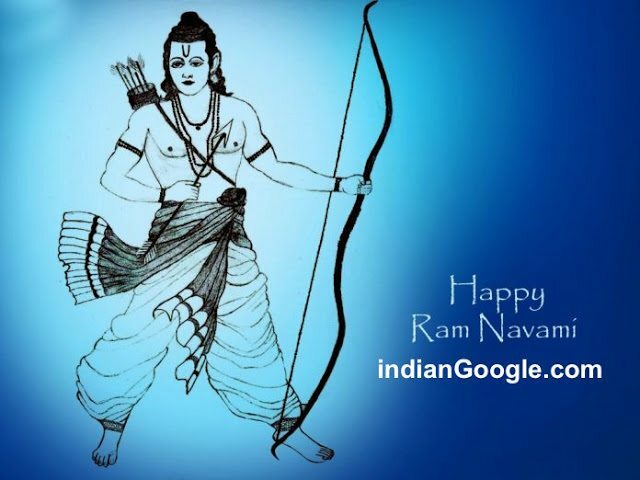 The sole purpose of Lord Ram was to kill Ravana who was blessed with a boon that he may never get killed but Lord Vishnu incarnated in the form of Lord Ram and also showed the whole mankind the righteous path to live a life.